As a young believer, I earnestly wanted to live in a way that pleased the Lord. But I based my sense of acceptance by God on my performance in life. I believed that if I could do something meaningful for the Lord, like play the guitar and write praise songs, then I would surely be accepted by Him. You could say that performance was the basis of my security with God and with people. However, that is not a foundation on which to build a spiritual life. It is, as the hymn writer put it, “sinking sand.” Although I believed the right biblical things in my head, my spiritual foundation was faulty. If I didn’t live up to the standards I thought God demanded of me, then all joy and peace dissipated and a cloud of condemnation moved in quickly. I was still living in Auburn, Alabama when God began to mercifully move me from sinking sand to the solid Rock. For there is only one foundation that God ever builds upon, and that is the righteousness of His Son, Jesus Christ. God spoke very clearly to me one night following a powerful message preached at our campus church. He asked me to give up my guitar and, by implication, everything that went along with it – writing and performing my own songs. This was a difficult thing for me to hear and very painful to actually do, but thank God, I found the grace to obey Him. At the close of the meeting, I tearfully handed my guitar over to my pastor for safekeeping (something I freely chose to do), and I did not touch it again for months. 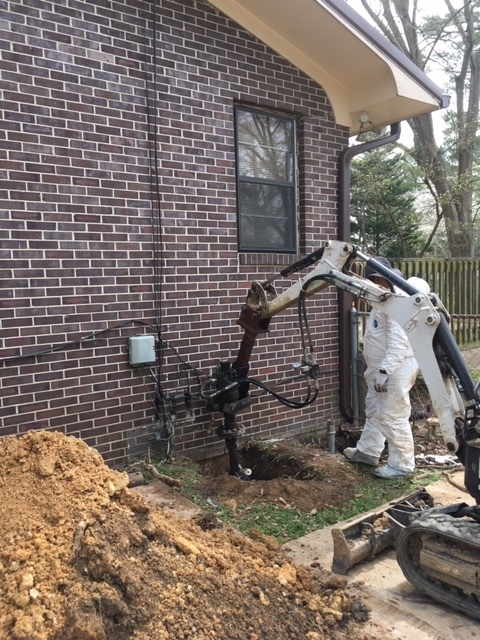 As I cooperated with God’s work in me, my spiritual foundation repair began. I learned to trust in Jesus alone for my right standing with God. My striving to please began to give way to restful trust in His love for me. God had big plans for me, but the right foundation had to be in place for Him to build them upon. Once a field is plowed sufficiently, the farmer stops plowing and starts sowing seed. In like manner, the difficult seasons of God’s dealings with us only go on until He accomplishes His intention. My season of not playing guitar and writing songs did not go on forever. It only lasted until God was satisfied that my spiritual foundation was solidly upon Christ alone. Now He was ready to build upon that foundation, and I began to walk into His purpose for my life. Remember my story about eating french fries on a day I was supposed to be fasting? And the song spontaneously birthed in a private moment of worship? All of that happened at the end of my season of testing. 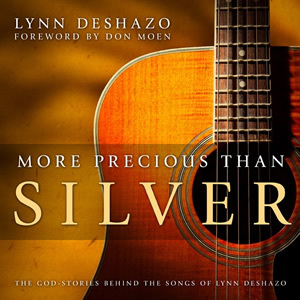 “More Precious Than Silver” was the first song I wrote after God released me to play my guitar again. I would go on to write many more praise and worship songs from that day forward. But the very personal events surrounding the creation of “More Precious Than Silver” are the head waters from which all the other songs would eventually flow. In addition to writing songs, I learned how to be a worship leader, with the encouragement of my local church. When it became evident to the church leadership that there was an anointing on my life to do these things, they affirmed my gift and released me to minister with our local worship team. Forty years later, though the frequency is less and the crowds older, I’m still active in the ministry of leading God’s people in worship.